The much-anticipated publication,The Soil Fixers, will be celebrated with an official book launch with friends and colleagues of the Ontario Soil and Crop Improvement Association (OSCIA) assembling at the Cutten Fields in Guelph on Tuesday evening, November 13, 2018. Reflecting on a 30-year career at OSCIA, book author Harold Rudy has captured key events, stories and highlights focused on many land stewardship activities over this time-period. The night will be complemented with fine food, musical entertainment and a special appearance by author and playwright, Dan Needles. 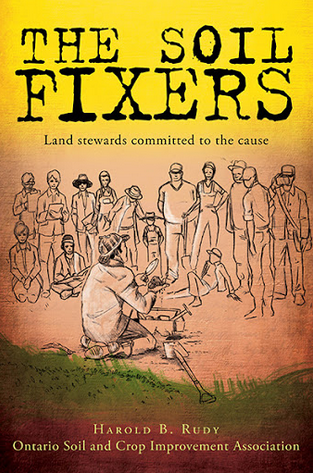 The Soil Fixers can be purchased directly from the publisher, FriesenPress bookstore. Friends and colleagues are invited to pre-register for the book launch celebration. Dinner tickets are $75 and can be purchased online. Space is limited so pre-registration is required before November 5. Those who register for the dinner and entertainment can order copies of The Soil Fixers at a discounted price of $25 per copy, which will be delivered at the book launch. Host Harold Rudy will reflect on his experiences of writing this book and highlight happenings along his journey. 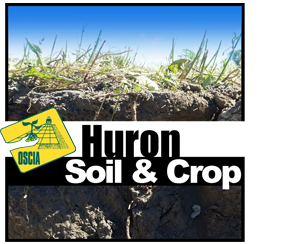 Dan Needles, long-time friend of OSCIA and writer of the foreword for The Soil Fixers will share his wisdom obtained from the back concession. All proceeds at the book launch will go to the non-profit OSCIA with earnings supporting student scholarships and on-farm soil and crop research. November 18-19: Ontario Young Farmers Forum, held in conjunction with the OFA convention at the Hamilton Convention Centre, for participants age 18-40. Vist www.jfao.on.ca/oyff for more information. November 30: Wellington County SCIA AGM, Alma Bible Church. 9:00 a.m. - 3:00 p.m. Keynote Speaker Greg Stewart Maizex Seeds: "8 Things We Learned About Growing Corn in 2018". Register by Friday Nov. 23rd by calling Linda McFadden, 519-362-2094 (please leave a message) or by email to: linda.mcfadden@wightman.ca. Read the full agenda on the Heartland website. December 3: Waterloo AGM at Floradale Mennonite Church, 9:30 a.m. to 3:00 p.m. Featuring keynote speaker Dylan Sher, producer of the film "Before the Plate". More information and the full agenda available on the Heartland website. December 5: Huron AGM, Brussels Legion. 5:30 p.m. 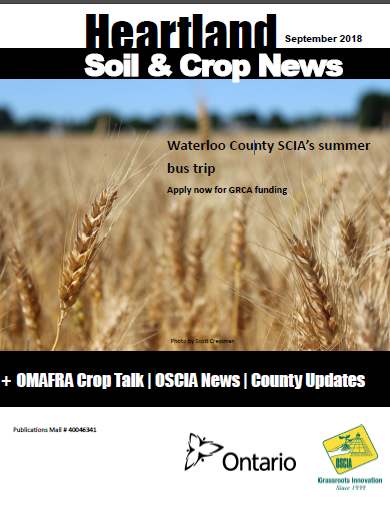 Featuring Mel Luymes speaking about the Huronview drainage project; Sarah-Louise Ruder speaking about digital farming; and Rick Kootstra is going to update us on his interseeding soybeans into wheat experiment. Cost is $20 and includes a hot roast beef dinner. December 6: Forage Focus 2018, Stratford Rotary Complex. plus remote locations. $40 includes lunch and conference proceedings. Keynote speaker Michael Hutjens, Professor Emeritus, ANSC Department of Animal Sciences. U of Illinois. Call to register by November 30. 1-877-892-8663. January 17: Save the date! Perth County AGM. 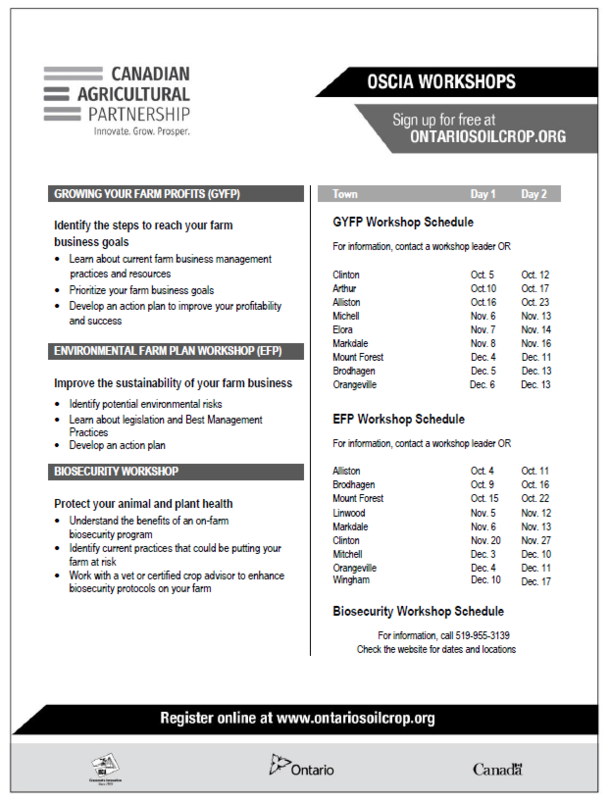 January 18: CropSmart, RIM park. 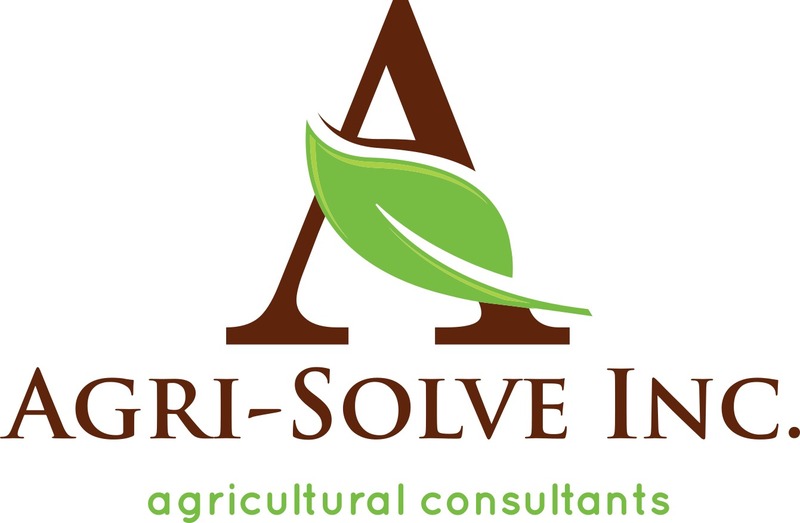 January 19: FarmSmart, University of Guelph. More information on the FarmSmart webpage. February 5-6: OSCIA AGM, Kingston. 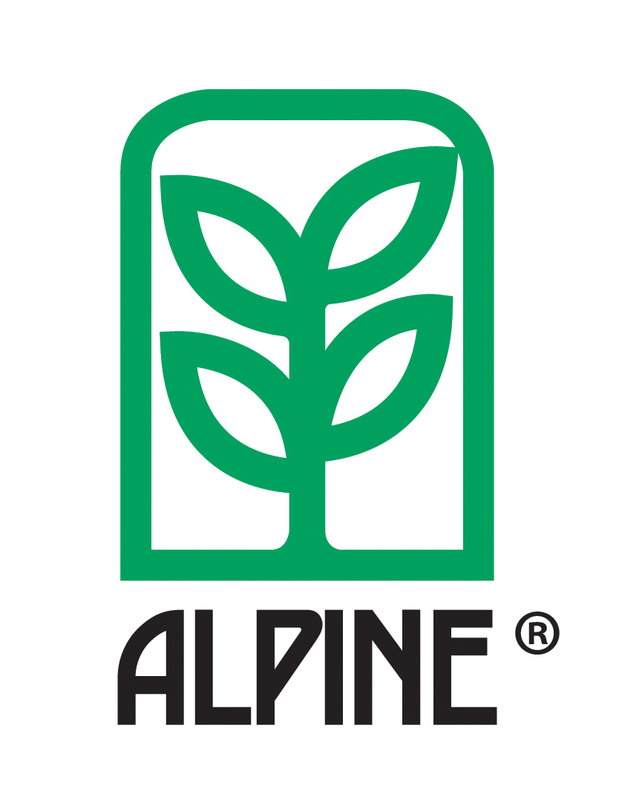 Did you miss the September edition of the newsletter? Read it online!